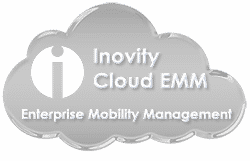 Inovity is a solution partner with AirWatch, a leading Mobile Device Management vendor. AirWatch provides a comprehensive mobile app ecosystem to meet the security, management and development demands of managing devices and applications that are employee-owned or corporate sanctioned. Read more about a AirWatch solution from Inovity.